Young Barn Swallow sitting on a concrete ridge. 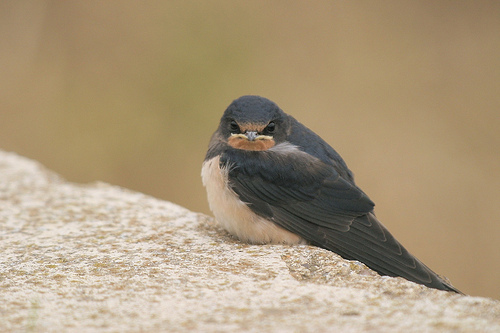 This Barn Swallow has just left its nest that was situated under a bridge over a little stream. European Magpie in the shrub stretching its wings. 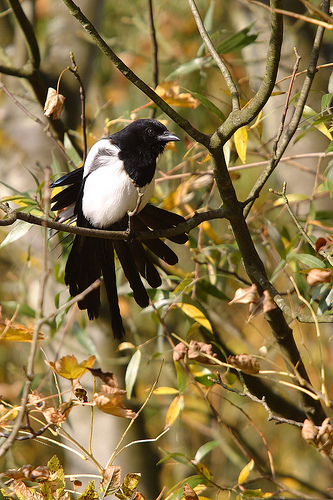 Magpies, like all members of the crow family, make a habit of eating the young of smaller songbirds. Numbers of songbirds decrease when these fellas appear. 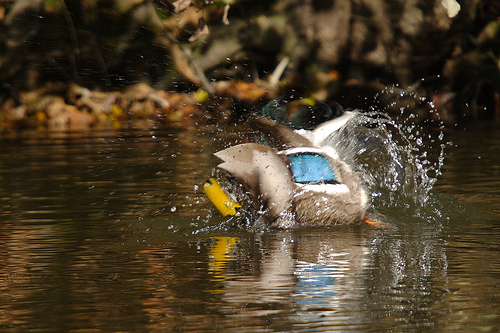 Male Mallard taking a bath. In a park, the animals are used to humans being near, so you can get close and they still go about their own business (like bathing in this case). Female Merganser swimming. 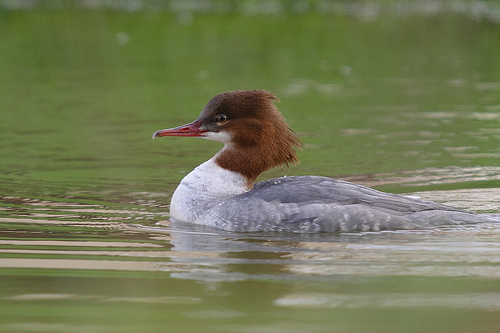 The female Merganser has quite different colors compared to the male, which is mostly black and white.